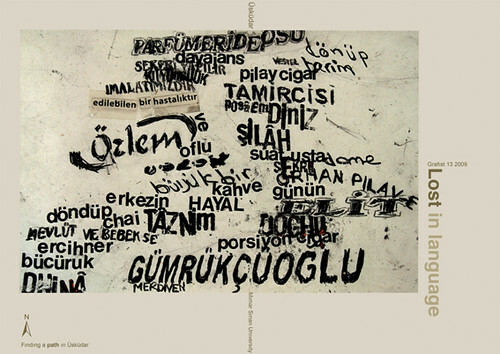 Grafist, International Istanbul Graphic Design Week, has been taking place since 1997, writes Gülizar Çepoğlu. Organised by Mimar Sinan University of Fine Arts, Grafist is produced in collaboration with GMK/The Turkish Society of Graphic Designers and is endorsed by ICOGRADA. Last year’s event, Grafist13, the thirteenth design week, was staged in mid-October. The guest designers were Phil Baines (UK), Petr van Blokland (Holland), Memed Erdener (Turkey), Dionysis Livanis (Greece), Piotr Mlodozeniec (Poland), Mehmet Ali Turkmen (Turkey) and myself (UK-Turkey). The week kicked off with the AGI 2009 Istanbul Congress, entitled ‘Beauty of Chaos’ and the opening of an exhibition by Grafist13’s guest designers in an exhibition space overlooking the Bosphorus. 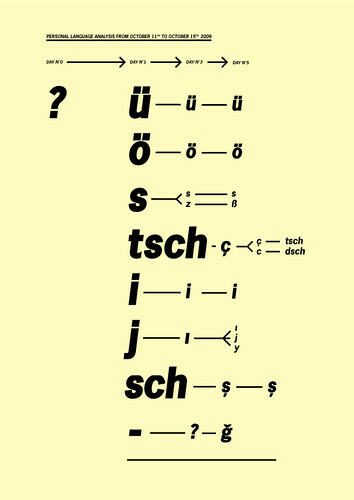 Other exhibitions included ‘Polish Posters in Times of Solidarnosc’, and ‘Forget-me-not’ (at the Adasanat Gallery), commemorating the achievements of Alan Fletcher, Shigeo Fukuda and Morteza Momayez. Top and below: Free as a Bird, by Jeongeun Park from LCC, is a poster made from characters that illustrate a bird’s journey. 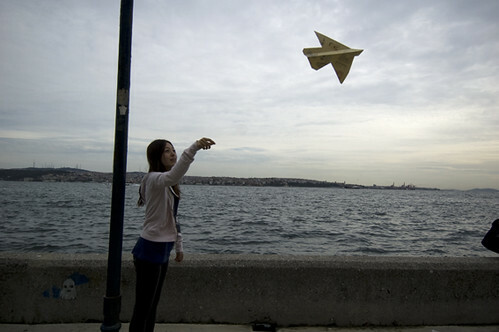 It can fold up into a bird shape and then fly. Then the serious business of Grafist13 got underway, with each guest designer briefing their class of 25 students, with workshops scheduled to run for three days. Each class included students from different Turkish universities and from overseas, coming from Greece, Egypt, Germany, Austria and the UK (represented by six second-year students from LCC). 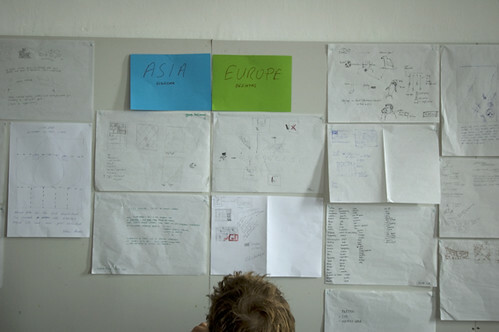 Students from diverse design backgrounds, cultures and teaching systems, speaking different languages and with varying expectations, all worked together. 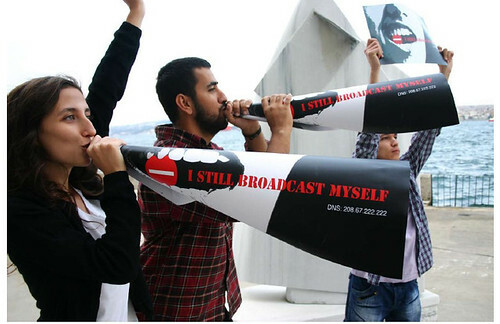 Above: I still broadcast myself, by Bilun Bilman from Mimar Sinan University, Istanbul, Turkey. 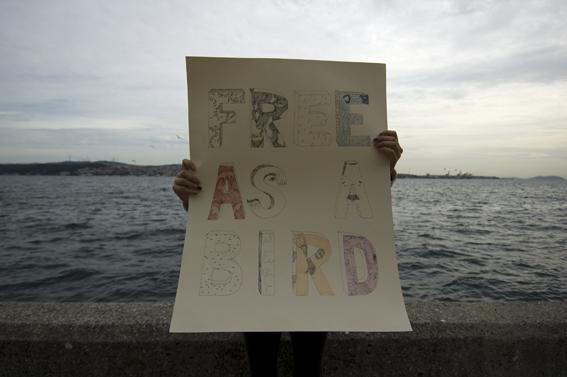 Inspired by Youtube’s catch phrase ‘Broadcast Yourself’, this poster encourages people to react against the censorship of YouTube in Turkey. Below: ‘The experience of getting through the streets of Uskudar, using the language that I heard and saw,’ by Satvir Sihota from LCC. The fact that the groups weren’t from one or other particular institution, with its own cultural baggage, vision and history, turned into a distinct advantage. Instead, all participants were exposed to new ideas and teaching methods, and managed to produce design solutions for presentation to an audience of professionals and peers, in just three days! The brief that I set, ‘Page / Screen, Asia / Europe’, was driven by my long-term research project (which I also explored via video and book projects in the exhibition). My research explores the transference of lived experience onto the page or screen, using different forms of language and image, interacting with all the senses. I divided the students into two groups (one for Asia, one for Europe) and sent them out to record their experiences in social spaces, around the village, Besiktas, at the shores of the European side, and around Uskudar on the Asian shores of the city. I stressed that they should use a range of media to examine the space’s structure and functionality, but they could choose their location, in those designated villages along the Bosphorus. 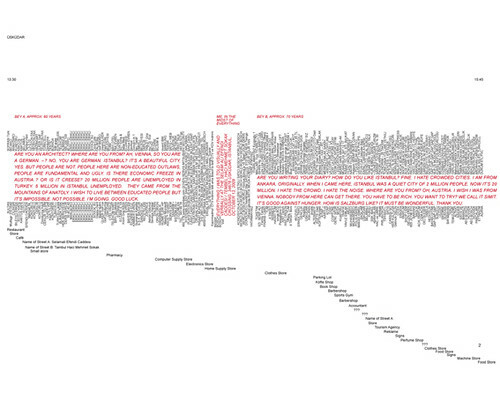 Those findings were then subjected to a grid, so as to transfer the lived experiences into a page / screen space. The intended outcome would be a translation of their experience of the social space into page / screen space, with special focus on the relationship between image and text. For the group who travelled to Uskudar, part of the brief was to cross Istanbul’s Bosphorus, travelling from Europe to Asia, in a small boat; a great way of immersing the students from such different backgrounds into the experience. I hoped it would help them engage with the brief, which stressed the concept of two continents connecting. 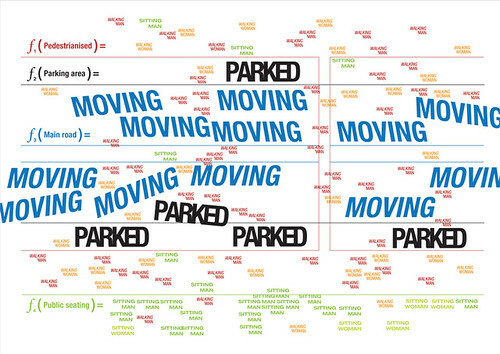 Below: ‘A summary of everything I was told visually and verbally at the cross of Selami Ali Efenendi Caddesi and Tembel Haci Mehmet Sokak,’ by Laurenz Feinig from Universität für angewandte Kunst, Vienna, Austria. All the students used their time constructively, demonstrating a down to earth and practical approach to the process of design; they’d all been chosen to represent their colleges and universities, and were highly motivated to make the most out the experience. And the others designers had similar experiences with their workshops. The briefs were varied; Dionysis Livanis asked his students to design a poster that could transform into a useful object or device; Phil Baines sent his students to specific areas to photograph type and then design a poster derived from four of their photographs; Petr van Blokland got students involved in a branding solution for an environmental project (a green source of energy); Memed Erdener asked students to visualise Lilith (Adam’s first wife before Eve) with reference to women’s role in our society; Piotr Mlodozeniec asked his students to design their own ‘signs’ along with a poster for translation office. Below: Personal Language Analysis in Istanbul from 11-15 October 2009, by Tobias Uggger from University of Applied Arts Vienna. Overall it was a ‘full on’ week; some students ended up applying for scholarships and internships, determined to spent more time in Istanbul. Others are keen to join more workshops in Istanbul and London, are keeping in touch via Facebook, and looking forward to Grafist14. Istanbul is an exciting environment for overseas students, and Turkish students are eager to learn about what happens outside their comfort zone. 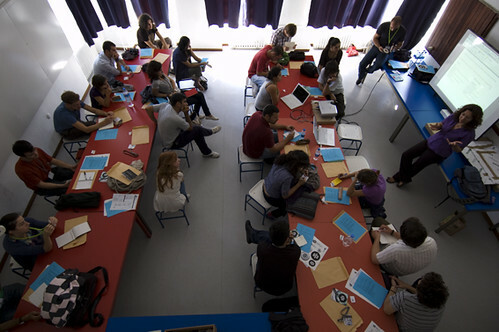 An event such as Grafist is a great opportunity for students and designers to get together for a week and focus on visual communication beyond the expectations or issues of a fixed curriculum, with its designated Learning Outcomes, Assessment Criteria and restrictions on time and resources. Despite the tight deadlines and hard work, the outcomes proved to be a liberating process for both students and designers. 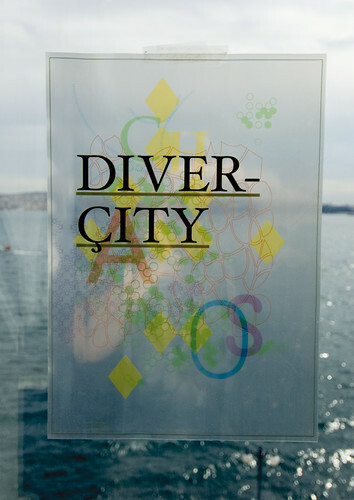 Above: city between order, chaos and diversity (the letter ç refers to Turkish character) by Daniel Staebler from Academie Stuttgart. Below: How does Uskudar function? By Hilay Varnali from Mimar Sinan University, Istanbul, Turkey. Eye, the international review of graphic design, is a quarterly journal you can read like a magazine and collect like a book. It’s available from all good design bookshops and at the online Eye shop, where you can order subscriptions, single issues and (new!) classic collections of themed back issues. See our Eye education links page, and read the regular Eye Education spread in each issue of the magazine. Genuine students can buy a subscription for half the usual price.